After being born and raised during the Second Congo war, Christelle is a survivor. Christelle Gatoro was born in the city of Goma in the Democratic Republic of Congo (DRC), during the Second Congo War in 1998. The Second War, also known as the African World War, lasted for four years and 11 months. Her family fled to a refugee’s camp in Uganda and lived there for two and half years before they were accepted to come to the United States in June of 2006. Christelle and her family were settled in Salt Lake City, Utah and that is where they’ve been since. Christelle began her education in the second grade and had the opportunity to skip the third grade due to her dedication and passion for education. Like many other refugee students, Christelle struggled to acclimate to the culture but as her knowledge of English expanded, her love of education grew. Christelle was a 4.0 student throughout her school years and graduated high school with an outstanding GPA. As a sophomore at the University of Utah, she continues to achieve excellent grades and participates on campus as a leader in the Women of Tomorrow and President and founder of Refugees in Action (URA). Christelle is majoring in Social Work, pursuing a minor in Business Administration, and planning on enrolling in the Health Administration program after she’s earned her BSW degree. Being that Christelle was a refugee herself she has dedicated her young life to make sure that no other Congolese family is forced to leave their home like she was. Which is why Christelle has a strong desire to help children. At the age of 16, Christelle earned her very first job working at Northwest Recreation Center, as a Child Care Counselor. From there on, she continued to work with the children as a dance instructor, a mentor, and at Discovery Gateway Children’s Museum by assisting children of all ages and abilities, to learn through exploration, creative thinking, and apply STEM education through play. Christelle understands the importance of academics, but also believes children need to be educated in other areas, in order to build skills that they can use in their everyday life. Christelle is currently working with an organization called the John Kasongo Foundation and they are collecting school supplies for a new school being build in the city of Goma (where she was born) in Congo. By working with the foundation, Christelle is moving one step closer towards her dreams of opening up her own non-profit organization. Aside from working with children, Christelle is an activist and will stand up for anyone who is treated differently because of their race, color, gender, or disabilities. She believes that we all have certain skills and attributes that are given to us and we have the choice to use them to help others. 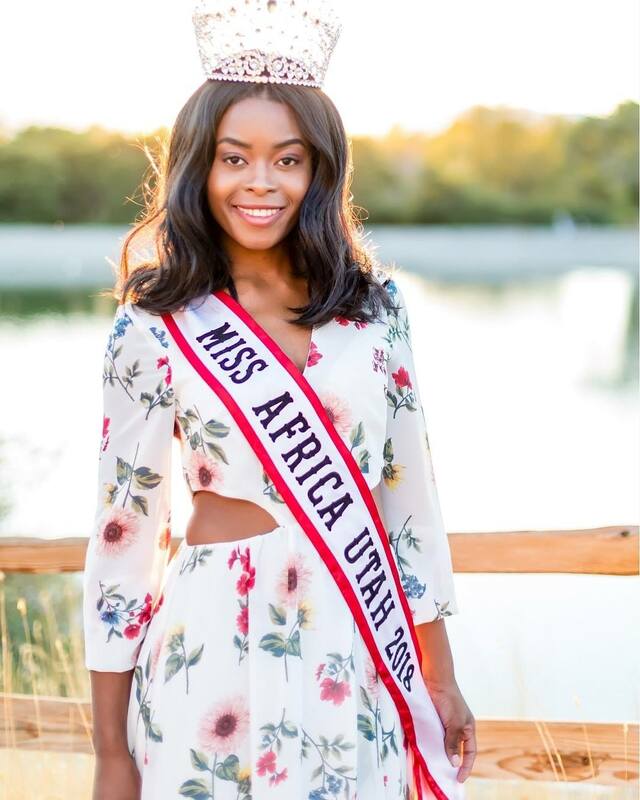 She is very grateful for the opportunity to compete in the Miss Africa Utah Pageant. It has been a long dream of hers since her sister competed. 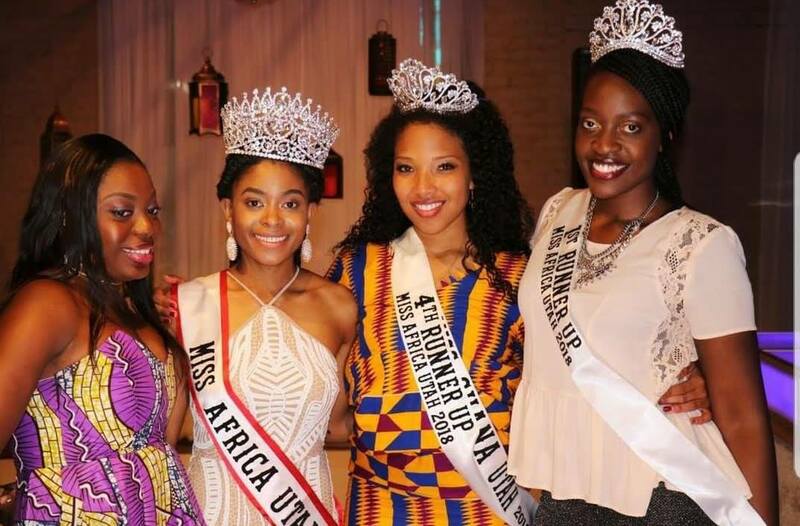 The pageant has given Christelle the privilege to pursue her platform, of saving the future of D.R Congo through extracurricular activities in after-school programs and recreations. Christelle wants to leave her mark on the world and hopes that one day her platform will prosper and continue to help those who are in need in her country and in other places around the world.